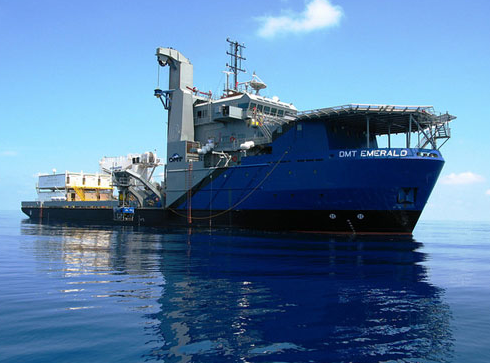 DMT stands for Deep Marine Technologies and they had the good taste to name their vessels (they have 3) after gemstones. You can never go wrong with gemstones as names: pretty, sparkly & everybody love them, makes neutral names as well. 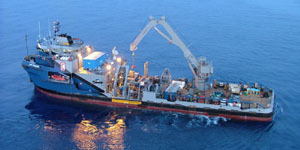 Unfortunately they employed somebody who didn’t have that good taste to make a decision on the paintjob of the vessels. And they ended up with what you see in the above picture. Oh dear….not a gemstone then. It does stand out in the crowd, indeed. 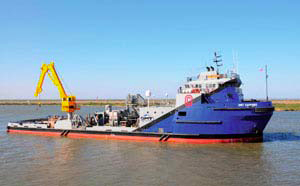 (un)Fortunately I can’t seem to find any more clear pictures of this vessel….but no stress: there are 2 more vessels in the DMT fleet. 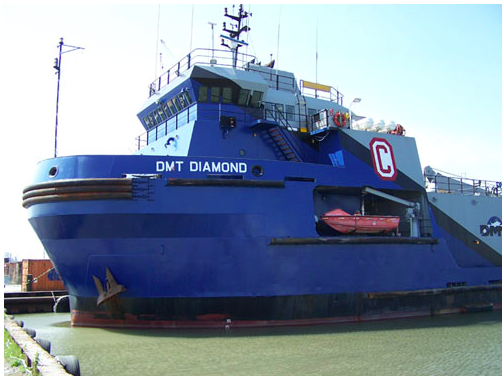 There is the DMT Diamond (IMO : 9225495) which features the same ghastly paintjob. Apparently the company went into liquidation so the “standing out from the crowd”-paintjob did really work. So that’s another “good” idea disappeared from this world.